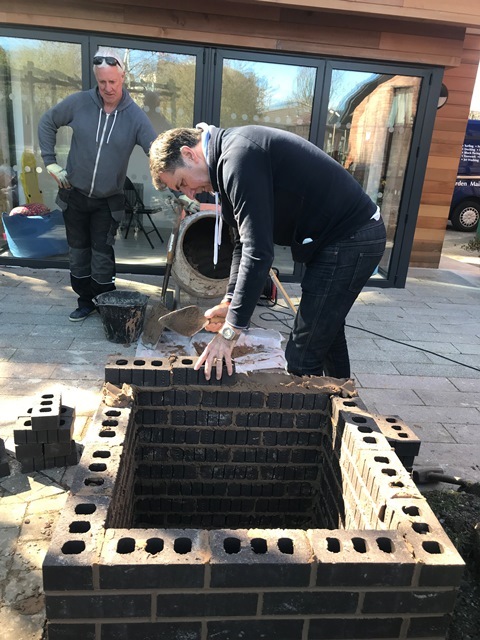 Metro Mayor, Steve Rotheram visited Woodlands Hospice recently to plant a Time Capsule in a brick planter that he kindly helped to build in the gardens of the Hospice. 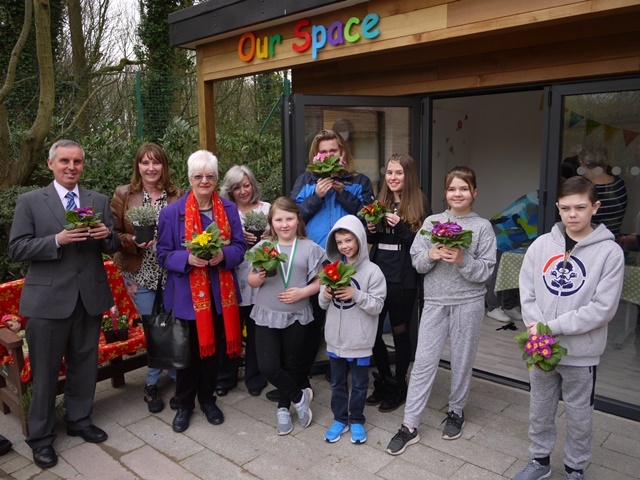 This follows on from the official opening back in December of the newly built ‘Our Space’ project designed and built for the children and young people accessing Family Support Services at the Hospice. Steve was joined by some of the children and young people and their families that have been involved in the Our Space project along with volunteer gardeners Brenda and Kenneth. The children filled a special time capsule to place in the planter, including a scroll containing hopes and dreams for the future with messages from our staff and volunteers and a Liverpool and Everton football programme along with personal messages from Steve and Rose and Barry our Chief Executive and Chair. 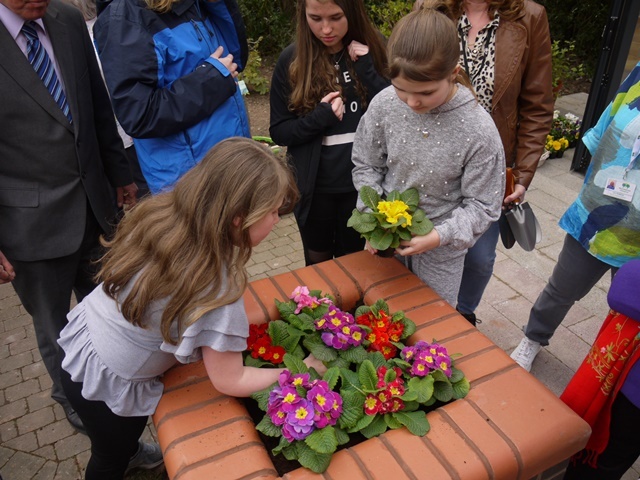 Once Steve had placed the time capsule in the planter the children topped it off with some new flowers and plants creating a beautiful new feature for our Hospice garden. The flowers also represent growth, hope and happiness, in essence everything we wish for our Woodlands Hospice Community! Rose Milnes, Chief Executive at Woodlands Hospice said: “It is an opportune time, 10 years on from opening our Inpatient Unit, to plant the time capsule for a period of 10 years, to look back in 2029 at how our hopes and dreams have progressed. It has been lovely to link this planting to the opening of the children and young people’s facility and include their dreams and aspirations. Hopefully when we look back our young people will have achieved their dreams and the Hospice has continued to flourish. Having Steve help build the planter and actually plant the time capsule was a lovely touch and reflects the place Woodlands has in his heart." 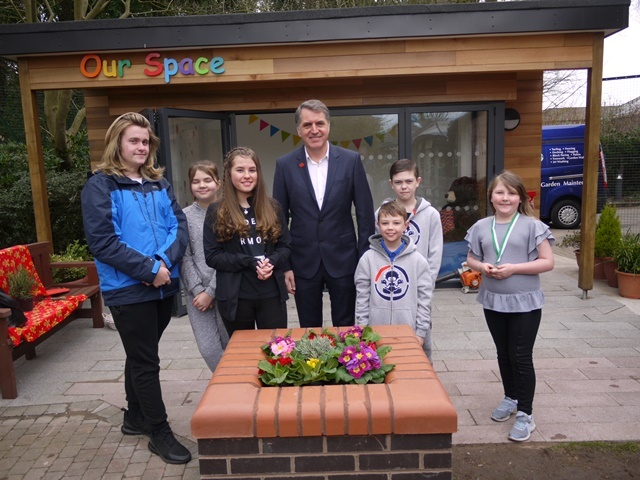 Prior to planting the time capsule Steve Rotheram, Metro Mayor, said: “I’ve been involved with Woodlands now for 20 years and it is a great honour to be involved with this project and plant the time capsule. Hopefully in 10 years’ time when we open the capsule those here today will have realised their hopes and dreams. Just finally, I’d like to mention the great team here at Woodlands. The more you visit and see and get to know the team you see that’s what makes Woodlands such a special place. With team work you can build great stuff on strong foundations as shown by the brilliant work that volunteer John did for the planter”.